Hey guys, I'm Dark Sneasel, you guys may know me from my other hack Pokémon Fluorite, which I'm taking a break from, but if you don't, here it goes! I would like to start off by saying that it is still being worked on, but here are the basics of it! One day, in the region of Senra (thanks Tyranitar50 for the name or was it Tcoppy?) a young trainer wakes up, like every other day. After (s)he heads downstairs, and is about to go outside, his/her mom tell him/her that his/her friends are waiting outside, ready to battle him/her, and then heals the player's party. When the player goes outside, his/her friends, Jonathan and Kiara, are waiting for the player to battle, and they do. His/her friends eventually leave, after telling the player that they're gonna go on a quest to beat all the gym leaders in the region, and that the player should too. 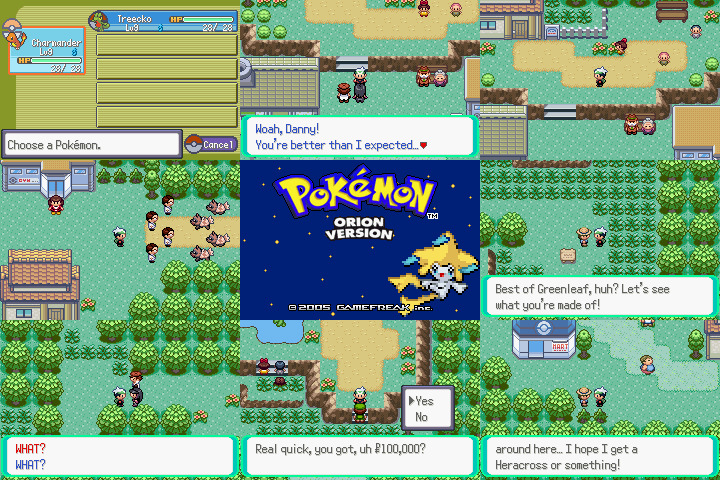 The player looks around a little in his/her hometown of Greenleaf Town, only to see some scientists having trouble calming down some Zigzagoons, and then the player goes and tells Professor Acacia, the professor of the Senra region, which catches the Zigzagoon, and eventually gives the player and his/her friends a Pokédex and some Pokéballs. The player then goes on a journey, like his/her friends suggested..
Now, that's just the intro, and what I have so far, but if you want some of dem spoilers, and stuff that is to come, go ahead, and click the spoiler. So, as for the evil team that is necessary for every hack, here it is.. The team, which I have no name for yet, will at first just start out as a group of thugs, whose motives are unclear, but eventually the player notices that they have a strong distaste for society, because it apparently treats them like trash. Eventually, they grow bigger, and their leader, a power-hungry narcissist, recruits more and more people to help him with his evil plans. As their first major mission, they choose to destroy one town in the region: Greenleaf. The player, his/her friends, and the professor fight back, but ultimately, fail. The player and his/her friends, furious, decide to join an organization whose sole purpose is to fight against the evil team. There's also rumors of Jirachi being awoken, which is a rare occurrence, which leaves many people, including the organization the player joined, and the evil team, looking for it. 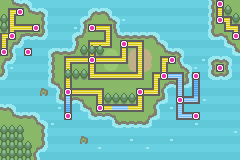 That is the region of Senra, where Pokémon Orion will take place! Thanks redriders180, the creator of the amazing Pokémon Glazed, for the tiles! *Most screenshots are not final. First off, I'd like to give a huge thanks to Tcoppy and Tyranitar50, for they've given me a lot of ideas on this hack, and in general! Many thanks to redriders180, and his world map tiles, they look amazing. And lastly, you guys, for taking time out of your day to take a look at this poorly-made thread. Last edited by Dark Sneasel; 16th February 2015 at 04:55 PM. Ummm...you going to release this hack soon? Because I don't see a download link to the patch yet. Unless you are still working on it? 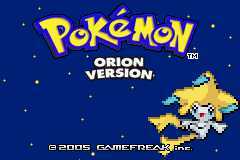 Cause I'm looking-forward to a hack that centers on Jirachi, and I am having trouble finding one... If there's a download link and I don't see it, sorry if I'm bothering you. No download link and no post since February, infer what you want but I'm going to lock this. Thread creator, message me to reopenerino.